Opened in 2007 near to the sacred badrinath temple, Sarovar Portico Hotel is one of the popular hotels in Badrinath. The hotel is situated at the foot of huge mountain that offers travelers a beautiful view of snow covered Himalayas. For devotees visiting to Badrinath, Sarovar Portico is a blessing in more ways than one. 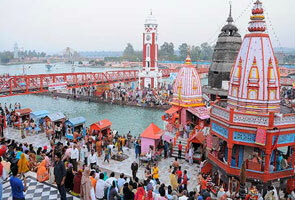 This place is also just a 10-minute walk to the badri vishal temple and market area. It serves 56 well designed and luxurious rooms with comforting and excellent services. The Sarovar Portico Hotel has everything you require in a wintry place like Badrinath. It provides Electric thermal blankets, Linen beddings, and central heating that keep you warm. An Ayurvedic Centre specializing in recreation and rejuvenation treatments are also available here. Sarovar Portico Hotel is located near to Badri Vishal Mandir in Badrinath at an altitude of 3,133mts above sea level. In general there are about 56 rooms of which 49 rooms are deluxe and 7 are suites. All rooms have elegantly done interiors and are well equipped with several amenities such as tea/coffee maker, AC, attached bathroom with 24 hour hot and cold water running water, television etc. The hotel has a pure vegetarian multi-cuisine restaurant serves a wide range of delicacies with entertaining dining ambience. 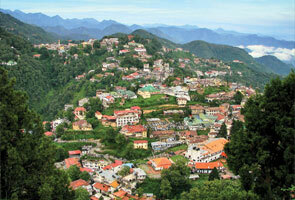 By Air:The nearest airport to this place is Jolly Grant airport Dehradun which is situated at the distance of 315 km. The airport is well connected to New Delhi with regular flights. Badrinath has a convenient connectivity by motorable roads with Jolly Grant Airport. Taxis are easily accessible from Jolly Grant Airport to Sarovar Portico Hotel, Badrinath. By Rail: Rishikesh railway head is the nearest railway hub to Badrinath at the distance of 300 kms. Rishikesh railway station has well connectivity by railway network with prime cities of India. Badrinath is conveniently connected with Rishikesh station through motorable roads. 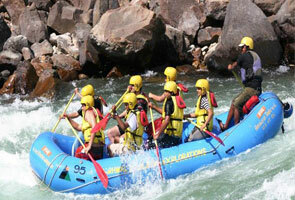 Taxis and local buses are ccessible from Rishikesh, Rudraprayag, Joshimath, Chamoli and many other places to Badrinath. 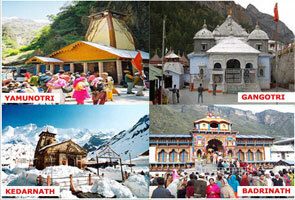 By Road:Badrinath has excellent road route connectivity with major places of Uttarakhand state. Taxis and local buses are easily accessible from Rishikesh, Rudraprayag, Pauri, Joshimath, ukhimath, Srinagar, Chamoli and many other places to Badrinath.